Greetings Festive Pagans – and Happy Solstice! Back in 1998, I published one of my earliest articles: The Ancient Gods and Neopaganism. I wrote it during the period I was discovering the Old Magick that would revolutionize my spiritual practice, and the essay is a great reflection of that transition. To this day, The Ancient Gods and Neopaganism remains one of my most popular essays – especially around Christmas. And the reason is the Santa Template. Essentially, I point out that the modern Neopagan methods of working with Gods are very different than how the ancients did it. Ask a modern practitioner how to go about invoking a deity, and you’ll hear about casting circles and inscribing sigils and wielding magickal tools. But when we look at records of ancient civilizations, we find their methods of invoking deities were based upon specific feast days and religious celebrations. In other words, the manner in which we celebrate Christmas today is much closer to how gods were worshipped “back in the day” than how most moderns are going about it now. It will surely amaze you to find out that Santa Claus is a modern deity who fits each and every requirement of ancient Pagan deity worship. 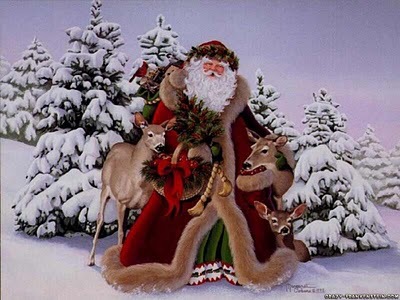 What follows is not about the well-known Pagan origins of the Santa Claus image (aka, Father Christmas – who has close ties to Germanic images of Odin). Instead, this is about the modern incarnation of Santa himself as a Western deity. The manner in which we moderns deal with Santa Claus, and Christmas in general, is exactly how rites to Gods were performed in ancient times. Knowing this, it can provide an awesome sounding board against which to test our methods of dealing with any God we choose. At the very least, it offers us a glaring contrast to our normal Neo-Pagan methods. 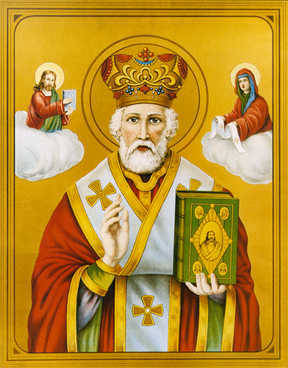 Much as we see in the most ancient forms of ancestor worship, St. Nicolas’ spirit was captured after his death and never allowed to escape. Honoring this spirit, the people gave it strength and nourishment. Now he is known round the world, and even invoked in a religious context. But we weren’t alone! Our god here is not lacking in priesthood any more than he lacks worshippers. He certainly had Prophets; men who would assume his form and have full authority to speak on his behalf. We saw them on street corners, we saw them in malls. The malls were where we could gain audience to the Prophet and ask him what the God had to say about our wishes. It was a divination plane and simple. 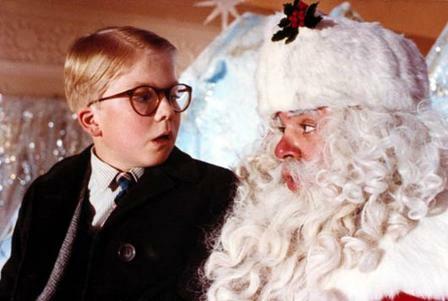 We all knew that it wasn’t the real Santa, but we all played our roles for the divination so that the Prophet could properly invoke Santa’s essence and speak with his voice. You’ll shoot yer eye out, kid. Mind-altering drugs were not absent. The insane amounts of sugar we ate throughout the holidays altered our consciousness, and contributed to the euphoric feeling we associate with the season. All the sacred cookies and candies – often in the shapes of Santa, reindeer, snowmen and other icons – were especially consumed before traveling to consult the Prophet at the mall. Yet Santa has a Secret Priesthood as well; the priests who are never seen, but are responsible for making sure all the “miracles” associated with the deity are accomplished. Today we know they were our parents, but as young children we didn’t. We still thought that the God himself was manifesting bodily and performing the miracles of Christmas morning. 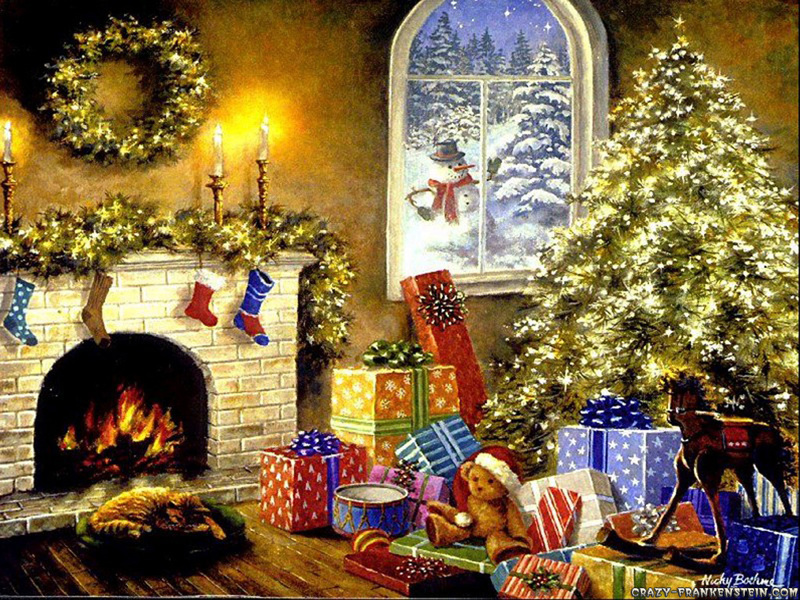 Each Christmas Eve our parents would usher us off to bed, and claim to go to bed themselves. Then, they would enter the Temple and perform Santa’s role. They would lay out the presents, and eat the milk and cookies. Sometimes they leave “evidence” that “Santa” had been there. Why, I was once mystified by the sound of sleigh bells outside my window on Christmas Eve as I struggled to fall asleep. I lived in Florida, so of course these were not among the usual sounds of wintertime. I knew that no car was driving by, and that no one was walking or running by with them, for the sound had been too brief. Yet it had been long enough to be obvious- it was sleigh bells! That event mystified me until I reached adulthood. Then one Christmas, when I was visiting home, I saw my mother do this to the children in the house (among them my own son). And now, I do it every year for my daughter. I pray it has effected them like it did me. These are the priests of Santa- both those of the inner sanctuary and the outer prophets. The Temple I spoke of above is, obviously, your living room. It is decorated in very specific colors, with trimmings of specific kinds and shapes. Holly is sacred to him, as was mistletoe, and the mistletoe has important rites associated with it. Santa’s image must to be there, as well as his sacred tree. Every decoration hung on that tree, and in the temple, has a reason for being there. Each has it’s own rituals and tradition, which reflect family history and culture. And everything has to be “just so”; the instructions for that are no less involved than what one might find in Exodus ch. 30, where the Tabernacle of Worship was outlined. Santa is even to be nourished with offerings sacred to him: pure milk and the sweet pastries known as “cookies”. Or at least some variation thereon. These were always consumed by one or both of the inner sanctum priests of your specific cult (family). It is a Eucharist for them. A similar Eucharist for worshippers in general (the rest of the family, friends) consists of more cookies and eggnog. We even sing songs to Santa in the temple for the rather specific purpose of invoking and strengthening his presence into the room. This increases steadily all season until it hits its peak on the twenty-fourth, where the invocations are accompanied by specific rites on the holiest of nights. There are very intricate rituals that must be enacted on Christmas Eve, finally ending in the worshippers laying down to sleep. More than sleep- entranced into having visionary dreams. The sacred literature instructs that we should envision sugarplums if we do it right. We never do. Even more intricate and specific rites have to be performed the following morning and day. A description of that could fill chapters! Not only this, but Santa can be offended and driven away. Bad behavior from children is at the top of that list. Although, anyone can offend him enough with an attitude that we have termed “Scrooge” or “Grinch.” We even have sacred literature about those kinds of people: such a person would end up alone and sad, and far from what Santa has to offer. But those stories always ended with the villain being converted and made a holy man at last! Of course, our sacred scripture incorporated much more than that. It also contained our whole mythos concerning our sacred heroes- Frosty and Rudolph for example. And the instructions for the visions of sugarplums. 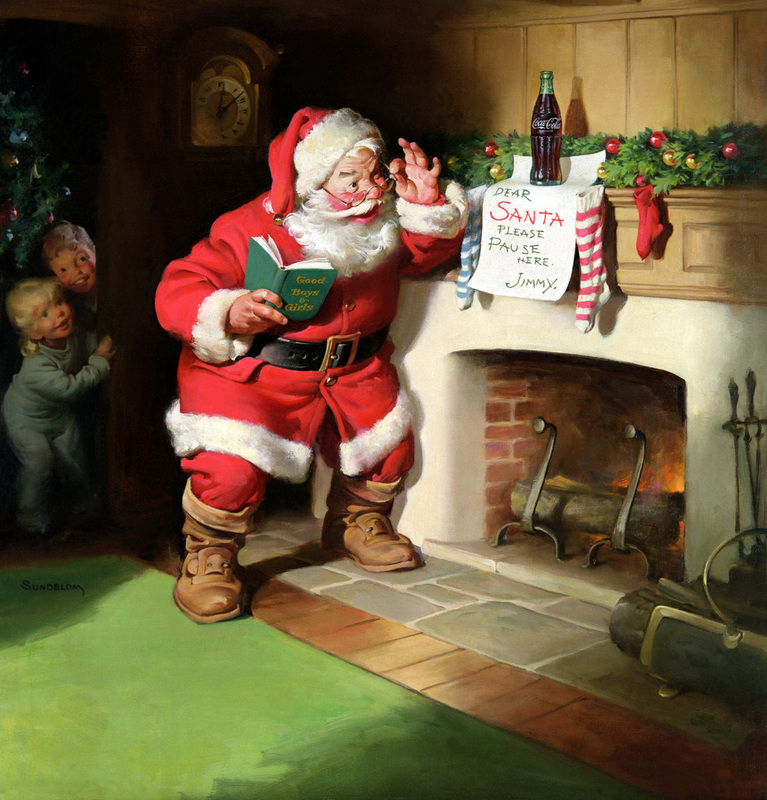 As children during Christmas season, every day and in every way we lived, loved, and worshipped Santa Claus. We gave ourselves to him in pure faith, in perfect love, and in perfect trust. It was that simple. There were no circles. There were no “correspondence charts”. The rituals throughout the holy season weren’t technical, they were devotional. And they were so much a part of you that you never even thought much about them. This is what it was like for the pagans of the ancient world as they honored their Gods. We Neo-Pagans have so very far to go. • Numerous and very specific rites and rituals. • Specific Eucharist/Communion (and for other gods, Baptism and other religious observances as well). • Specific temple lay out and sacred objects as decoration. Traditions, mythos, and rites associated with all. Each to be properly maintained. • Specific dances and music. Even specific musical instruments. • Divinations, Visions, and petitions for the God’s aid or blessing. 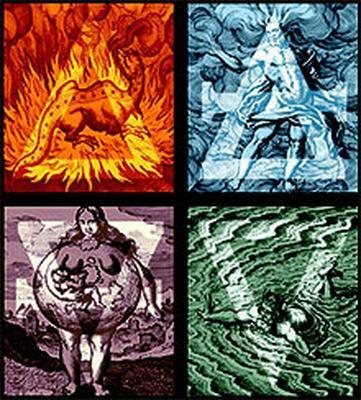 • Sacred scripture and Mythology. • Specific “sins” and offenses against the commandments of the God. Or, making yourself ritually unclean. • An organized priesthood who take care of most of the above details, perform the important and most secret rites, and are also our direct link to the God by invocation of Him. • Total and faithful dedication and love toward the Deity. If the God’s holy day doesn’t feel like Christmas, then you’re doing it wrong. I do not believe that even one of the above points was missing from the temples of the old gods. Not only the above, but even more that I’m sure we’ll never even guess. Imagine a person five thousand years from now trying to observe Christmas from what he reads in maybe four or five surviving copies of our modern books on Christmas. Or even only commentary and short quotes about our Christmas from people who came after us. Or maybe (worse yet!) from old television commercials that have been recovered! Do you think he would capture what our children feel today? Not a chance- and that is what you are up against in attempting to re-establish contact with one of the ancient gods. When dealing with a God other than St. Nick, we have to ask ourselves how many of the above points are we capable of fulfilling? How much information did we recover from those eras and the God’s cult (to be found in archeology books, not Neopagan beginner’s manuals), and how many points of our Template will be left empty? Let us assume that we wish to honor Marduk of Babylon. How many points of the Template can you fill out for him? What does our current knowledge of Marduk contain? Holy days? Yes, a few of those have been figured out. Certain rites and rituals? No- we can only connect Marduk to the opening recitations of some exorcism rites, and that’s all. Very specific foods, plants, sacrifices, and other materials? Aside from Lapis Lazuli (which Marduk is often associated with), none. 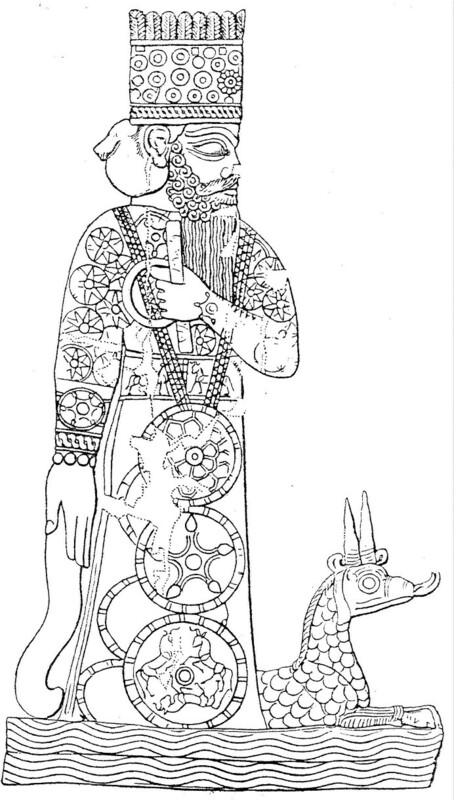 At least we know what he looks like in one of his forms – thanks to a surviving image of him from Babylon. 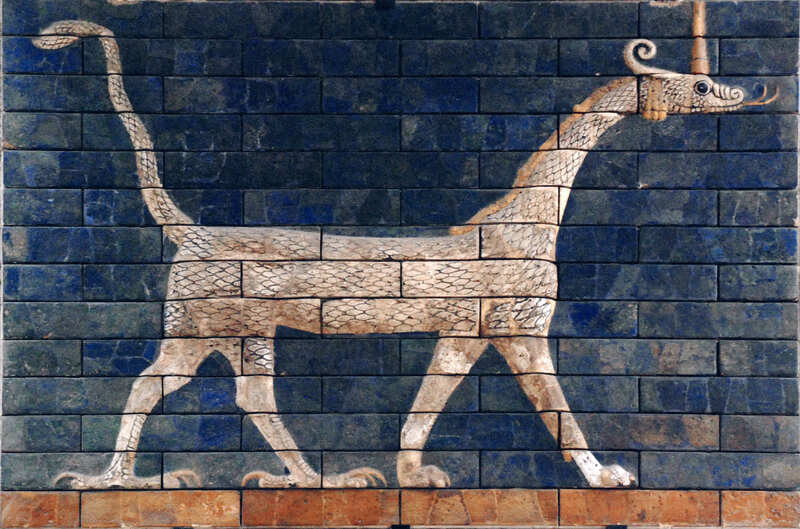 We also know he was associated with a strange dragon-creature that we can see resting at his feet (the same dragon depicted on the Ishtar Gate of the city of Babylonia) – though no one is sure who or what that dragon was, what he represented or what relationship he had with Marduk (or Ishtar). Do we know what he was directly averse to; that is, what he considered sin against his commandments? Do we have any of those commandments? No. Do we know the proper ways of gaining contact- the music, the dances, the particular tools used? We know none of this. Can you speak to Marduk in his native Babylonian tongue? I would bet the majority would have to say no on that point as well. However, Babylonian is not a forgotten language, and you can learn it if you’re dedicated and can gain access to the right academic works. At least you can make use of it as a sacred language in your work with him – if not a conversational one. These examples don’t even cover the entire Template, but it sure does put things into perspective. When it comes to comparing Marduk to Santa- we see how little we really know about Marduk! What can change this is hard work and life-long dedication. Hours spent in the libraries scanning and re-scanning archeological and anthropological texts; both books on the shelves and articles from archeology journals. Do everything in your power to fill in each and every point in the Template before you even begin. Consider the ones you could not fulfill, and what might be done in their stead. And with that I’ll bring this excerpt to a close, and let you all get back to your Christmas traditions. Enjoy!